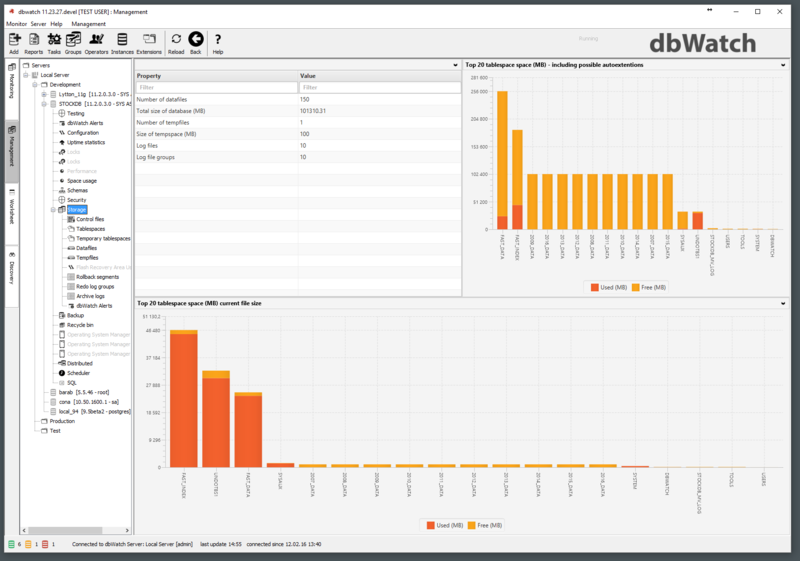 Whether you have a handful of database servers or thousands – dbWatch is fast to install, built to scale and provides a full overview of your resources with detailed reporting. 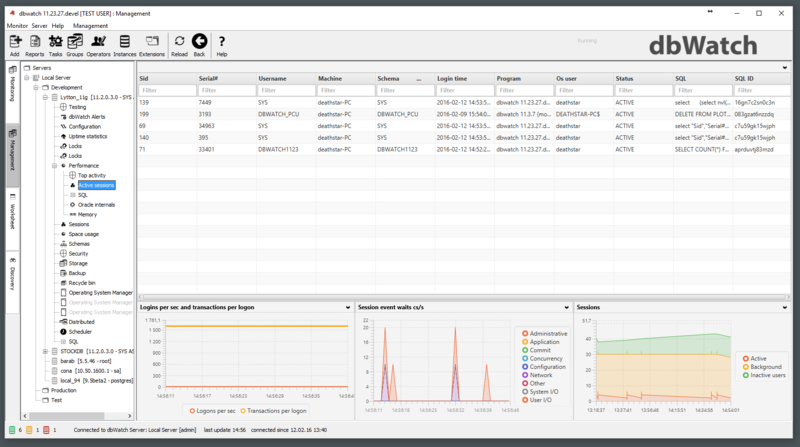 dbWatch can drill down to analyse performance, SQL queries, server configuration or cluster status. It also takes the hassle out of routine monitoring and maintenance tasks with its automation features. dbWatch helps you control your Oracle licensing costs.